I had some stories read recently at the “Memory to Monologues” performance as part of the Newtown Arts Festival (www.newtownartsfestival.com). 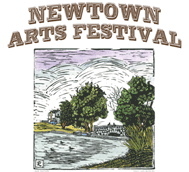 The Newtown Cultural Arts Commission (www.newtownartscommission.org) produced the event, which was the first in the history of my small hometown, Newtown, CT. The festival featured live performances, exhibitors, workshops, demonstrations, lectures, presentations, and food vendors, and was a big hit with the community. If you missed it, then don’t worry. There’s another one planned for 2013! The “Memory to Monologues” performance was particularly special for me. The local Stray Kats Theatre Company (www.straykatstheatrecompany.org) from Newtown, solicited stories from community members. I submitted a few stories from my on-going (still unfinished) memoir project. The theatre group selected stories that would be read on-stage by the actors and actresses at the arts festival. The stories weren’t just going to be read, they would be brought to life in the voices of the theatre company members. The actors and actresses would amplify the drama, excitement, or humor of the stories, whereas an author may only read his/her own words. The unique formula worked, and the audience members loved the “Memory to Monologues” performance. Traditional book readings will always be a method by which authors can share their words, but now there’s a new medium by which to entertain using the same material!